When I meet with couples for their initial consultation, I tell them that my clients usually end up being about 50/50 on this decision.I am a strong advocate of the “First Look” or “Reveal,” but I don’t push my clients in either direction.I want you to feel comfortable in the decision you make, and most people who *don’t* want to see each other have very strong feelings about it, so I don’t push the issue.It is very sacred for some people that the groom first sees the bride on the wedding day when she walks down the aisle. I totally respect that decision! 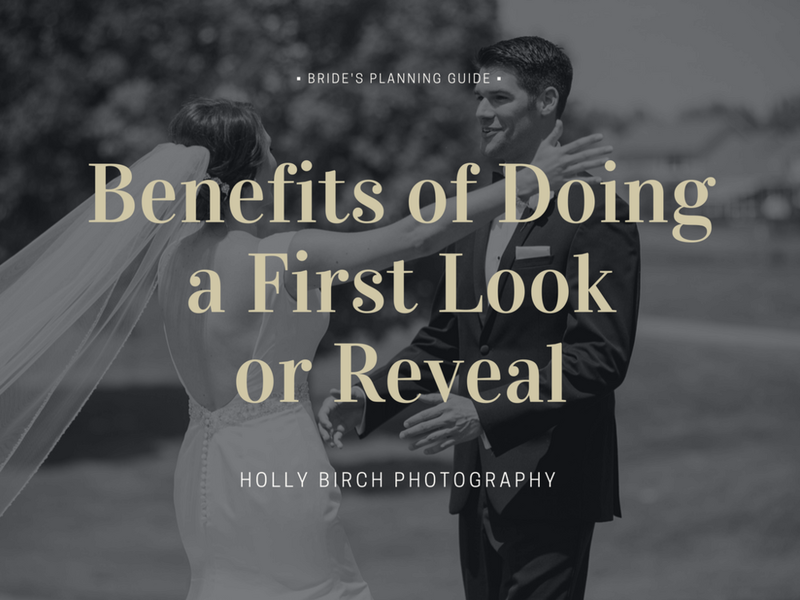 I thought it might be helpful to walk through the pros of doing a first look for those still weighing their options.By seeing each other before the ceremony, you take some pressure off each other (especially the groom waiting in front of your entire guest list! 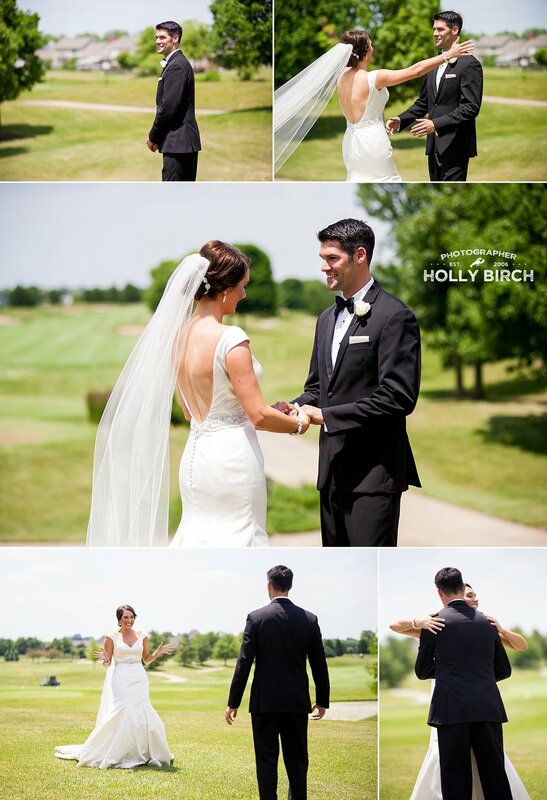 ).You get to see each other for the first time in a much more private moment, shake off some of those nerves, and spend a couple of minutes together before all the hustle and bustle (see what I did there?!) of the day. 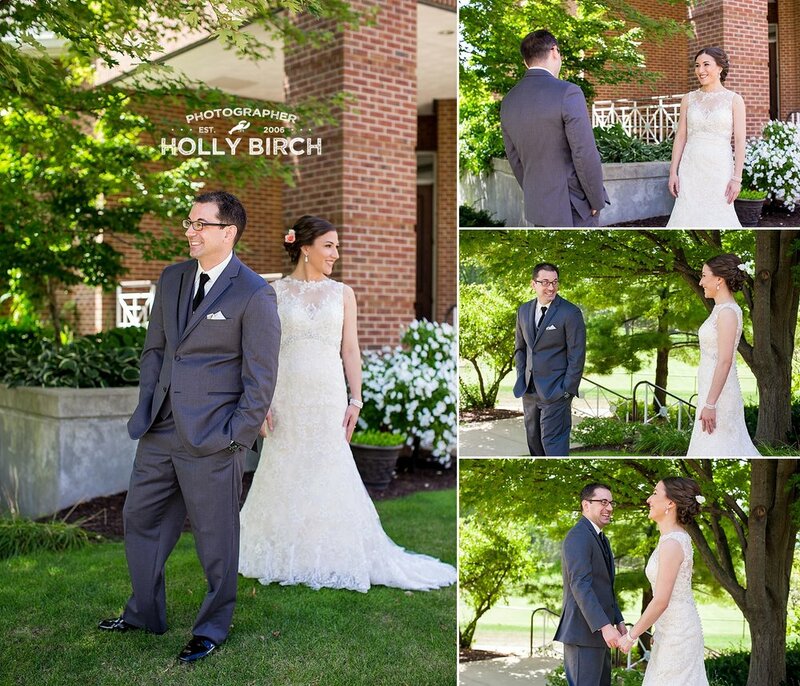 Aside from that, the First Look is a good idea because it allows us to get most of the important photos out of the way before the ceremony, which gives the couple more time at the cocktail hour and less time keeping the guests waiting for their arrival.Before the ceremony, we can do photos of the the couple, bridal party, individuals, and some family photos.That leaves just any remaining family groups for after the ceremony, and a quick stop at an alternate location for more couple photos, and possibly a bridal party pose or two.I recommend that all my couples choose at least one alternate location for their photos aside from the ceremony and reception spots, just so they have some variety in their gallery and album.Locations that are personal or special to the couple are always encouraged!